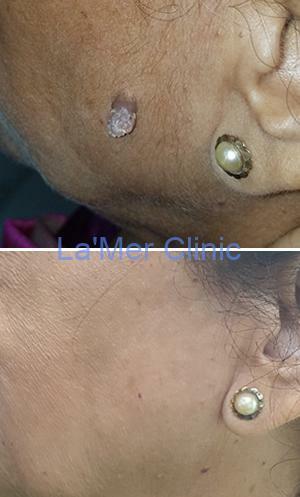 Just the presence of few skin tags, warts or mole make your skin look uneven & dull. There are different types of skin growths and it is very essential to diagnose the condition. Most of the conditions look same to the patient. Many people call it moles or massa. Benign skin tumour for example syringoma. So clinical examination and sometimes skin biopsy and blood tests are needed for the accurate diagnosis and prognosis.Our latest radio frequency and LASER techniques are absolutely safe, provide better tissue healing.Now it is absolutely possible to remove these unwanted skin growths without any pain and just in one session! Present since birth or may appear later on in life. Hardly ever causing pain, they appear in many different colours and can be bumpy or flat. 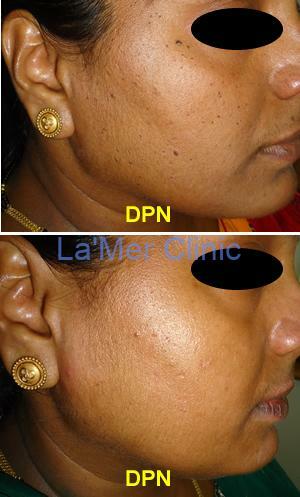 Most often of red, brown or black colour, they occur as a result of skin pigmentation called melanocytes. They can be caused due to direct exposure to sunlight or due to genetic factors as well. They can appear in any part of the body and form slowly, taking a long time to grow. Small bumps or rough growth on the skin that appear in hands, legs, fingers, soles of the feet, face or in the genital area manifest as warts. They are white or pale. They occur as a result of harmful virus infection of Human Papilloma Virus (HPV) and hence, can be contagious. As opposed to moles, warts need to be removed quickly since a virus causes them. Warts are small, self-limited benign tumors caused by one of over 100 types of human papillomaviruses (HPV). Warts are typically small, rough, and hard growths that are similar in color to the rest of the skin. They typically do not result in symptoms except when on the bottom of the feet where they may be painful. The good news is that both warts and moles do not pose a grave risk to your health, but they are annoying and can turn dangerous in the long run. 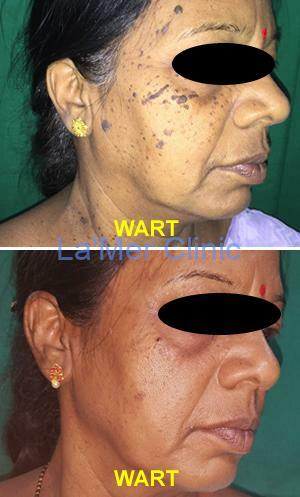 Especially with warts, you can give it to someone or acquire from someone, since it is a type of virus infection. So, seek medical assistance if you want them to be removed from your skin.